Posted on 20, August 2018 by EuropaWire PR Editors | This entry was posted in Automotive, Entertainment, Germany, Internet & Online, Technology and tagged Bus Simulator 18, buses, Citaro, Cologne, game, gamescom 2018, gamescom2018, MercedesBenz, PlayStation®, PlayStation®4, Setra, Xbox, Xbox One. Bookmark the permalink. Mit Mercedes Benz und Setra durch die fiktive Stadt Seaside Valley. Dies ist mit dem aktuellen „Bus Simulator 18“ möglich. Das Spiel feiert seine Premiere auf der gamescom 2018 in Köln. A journey around the fictional city of Seaside Valley with Mercedes Benz and Setra. This is possible with the latest “Bus Simulator 18”. The game has its premiere at gamescom 2018 in Cologne. STUTTGART/COLOGNE, 20-Aug-2018 — /EuropaWire/ — A journey around the fictional city of Seaside Valley with Mercedes‑Benz and Setra. This is possible with the latest “Bus Simulator 18”, also available for PlayStation®4 and Xbox One® for the first time. The game has its premiere at gamescom 2018 in Cologne. Gamers can take the wheel of faithfully recreated Mercedes‑Benz Citaro urban regular-service buses or Setra MultiClass vehicles, for example. From a range of interior and exterior perspectives, the buses can be easily navigated along various urban and inter-urban routes at any time of day and in different weather conditions. 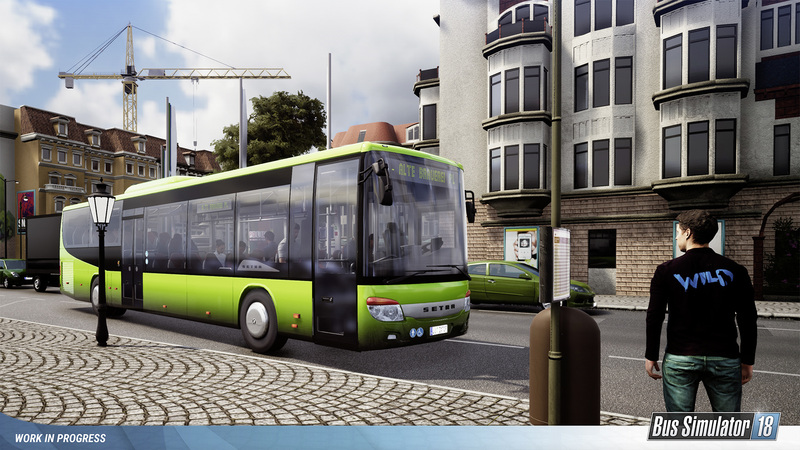 The latest version of Bus Simulator 18 for PC developed by astragon Entertainment GmbH and stillalive studios GmbH can be played in single-player mode or in the new synchronous multiplayer mode for up to four players. gamescom 2018 is the world’s largest show for computer and video games in terms of surface area and number of visitors. It takes place in Cologne from 21 to 25 August. Bus Simulator 18 is also available for PC and can be purchased in stores or as a digital download.